Local calls Uninor to others 42000 seconds free and STD @ 1 p/sec. 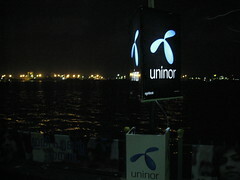 For a monthly recharge of Rs.197, Uninor offers you up to a maximum 2000 mins. of local Uninor to Uninor calls per month and Maximum 700 mins. of local calls to other networks per month. After plan validity expiry a base rate of 60p/min. for all local & STD calls will apply as per ‘Uninor-60’ plan. MMS @ Rs. 5/event and myuninor WAP/internet @ 10p/10kb. This tariff is applicable to AP, Bihar, Kerala, Orissa, TN (incl. Chennai), U.P. East, U.P. West circles.